What are the VTTA Standards? Competitions for VTTA members are based on 'Standards'. So what are they? The Standards are effectively a handicapping system which takes into account a rider's age so even the oldest riders, some in their 80s and even 90s, can compete against "younger" veterans who are in their 40s and 50s. The handicapping system also allows men and women to compete against each other. They also cover riders on different machines - bikes, tandems and tricycles. The Standards system thus provides fair competition for all ages and both men and women. They have been revised for the 2019 season in the light of the most recent data on veterans' time trial performances. You can see all the standard times for individuals here. Many riders go faster than their standard time and the amount by which you beat your standard time is referred to as your plus. So if a 40 year old man completes 10 miles in 25 minutes exactly they will have beaten the standard by 1 minute and 2 seconds. This is referred to as a plus of 1 minute and 2 seconds. If a 75 year old man rides the same event in 28 minutes exactly, he will have beaten standard by 1 minute and 59 seconds. In this case the older rider has the greater plus and will have beaten the 40 year old on standard, despite going slower in real terms. For veterans' events and competitions results are presented in order of performance on standard (actual times are reported as well). The fastest veteran on standard or Best on Standard (BOS) is the person with the biggest plus i.e. the person who beat their standard by the biggest margin. So Standards provide VTTA members with a goal and motivation as they grow older and allow all members to compete against each other on a level playing field. Standard Awards may be claimed at the Standard distances and times (10, 15, 25, 30, 50, 100 miles and 12 and 24 hours). To gain your Standard Award you have to improve on your previous best plus or minus for which you claimed a Standard Award. If you don't have a previous best at a particular distance you can claim your best plus or minus in the year to get you started. If you have not claimed an award at a time/distance for three seasons you can start again with your best performance in the current year. To claim an award you must send a completed standards claim form to your Group Recorder together with the result sheets for the events in which you qualified, marking your name and time. See Forms. If your attempt is successful you will receive an engraved medal. If you get four medals or more in a season you can have an engraved plaque instead. Your new best plus or minus becomes the target you need to beat if you want to win another Standard Award in subsequent years. Because the age standards give you an extra allowance as you get older this makes beating your previous plus an achievable target. However, you can elect to ignore any rides done more than three seasons ago. Historical Note: The Standards were first devised by EH Strevens in 1943. In 2011 and then in 2018, the VTTA convened a sub-committee to review the standards. We now have a database of over 100,000 performances by veterans in recent years, and the standards have been updated to reflect this latest performance data. While the base standard for a 40 year old man or woman is slightly arbitrary the annual increments thereafter are based on a statistical analysis of the actual age decline in performances. The standard tables are generated using a formula which includes, age, gender, distance, and type of machine. The latest standard tables have been updated for the 2019 season with the aim of achieving as far as possible a level playing field for all VTTA members. 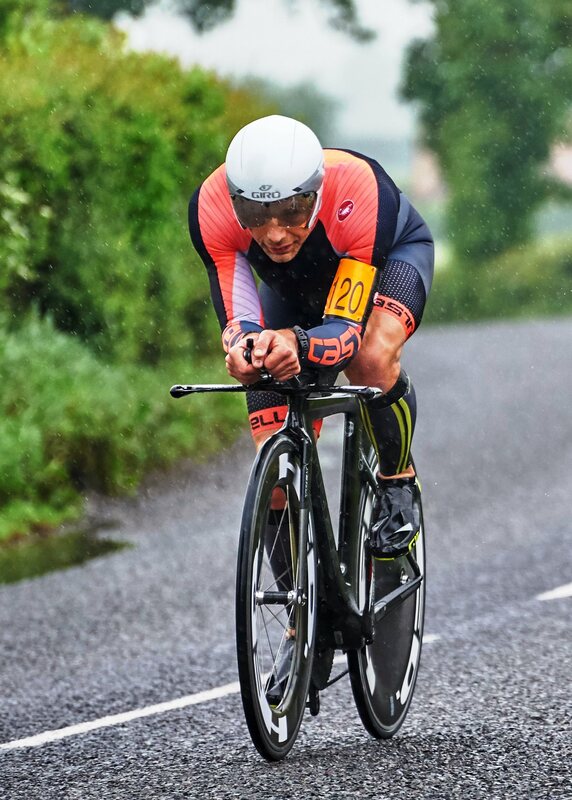 If you are new to time trialling you can find more information on the About Time Trialling and Time Trialling FAQ pages.